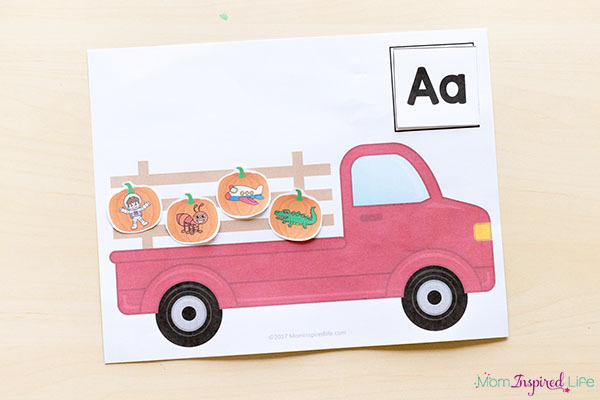 This printable pumpkin alphabet activity is a hands-on way for children to learn the alphabet and letter sounds this fall. 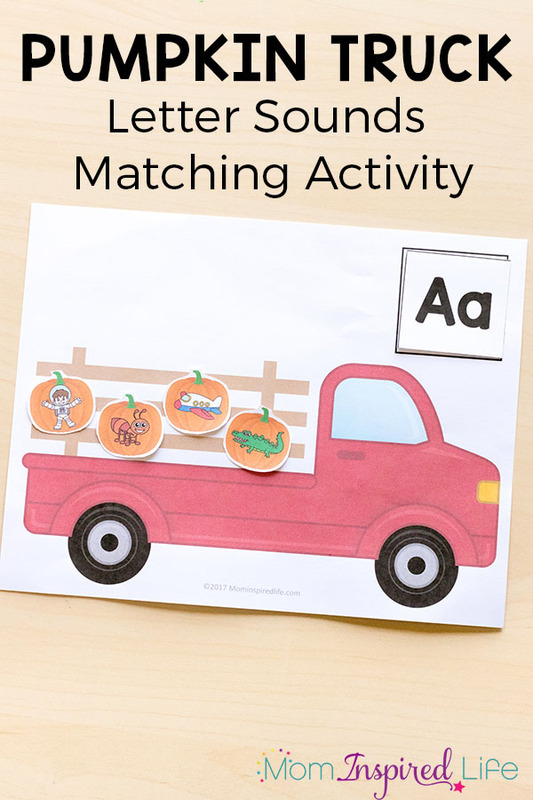 Check out this printable fall activity! 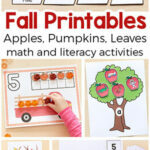 We have been really enjoying all of the fall printables I have created lately. I love that I have everything cut out and ready to go and my kids really thrive with the hands-on activities we’ve been doing. 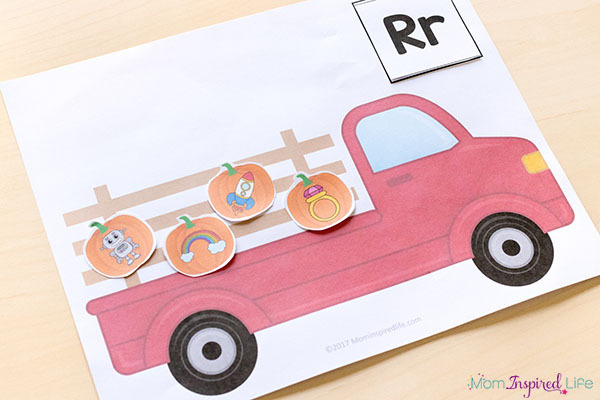 This printable pumpkin activity would be perfect for literacy centers in the classroom, for a hands-on homeschool activity or just for extra practice at home with parents. 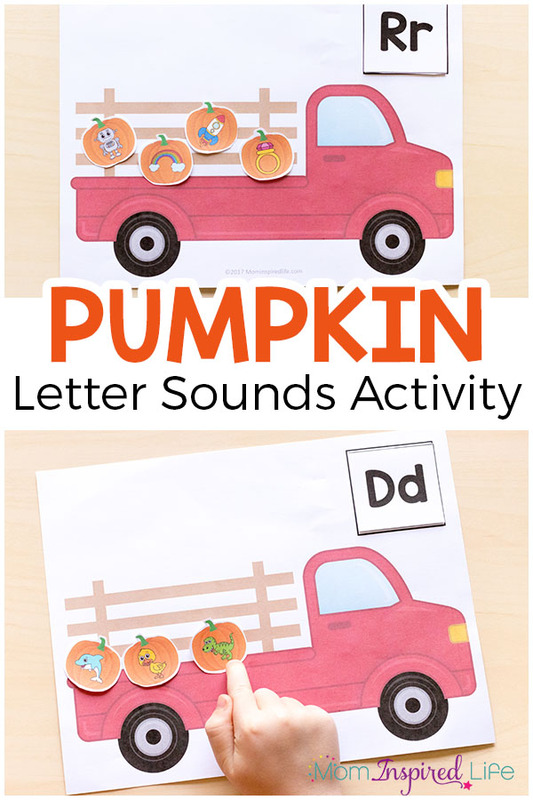 If you are looking for an engaging fall pumpkin activity that teaches letters and letter sounds, this activity is perfect for you! It’s super simple to set up and I made it in a way that limits the amount of ink, paper and cuts you need to make when getting it set up. I use just a letter or two a day with my 4-year-old. 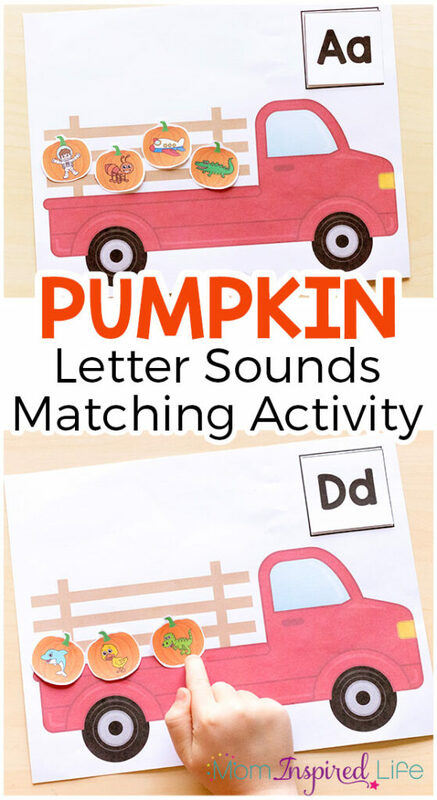 We talk about the sound the letter makes and then look for objects on the pumpkins that start with that letter. Then she places each pumpkin on the truck. As she progresses throughout the next 4-6 weeks, I plan to do 2-3 letters each day. 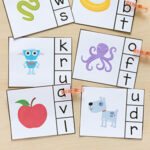 This is also a good review for kids who already know most or all of the letter sounds. Those children should be able to handle more letters and more pumpkins at one time. Plus, they may be able to do this independently. I like that we’ll be able to pull it out again next year and use it to review the letters and sounds. This activity needs no extra supplies at all! Just print, cut and laminate (if you want) and you will be good to go. 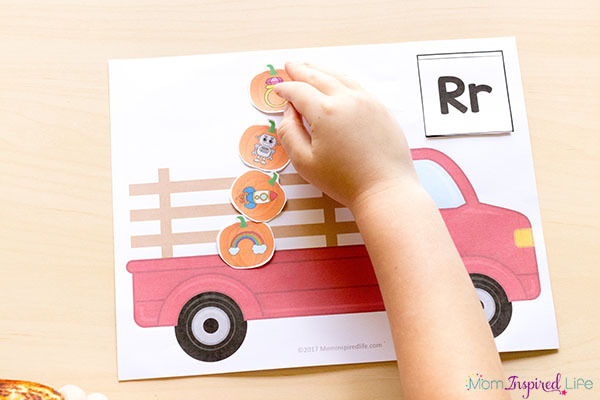 If you plan to use this with more than one child or want to use it over and over again each year, I highly recommend that you laminate all of the pieces. I put the pumpkins in a grid so you can choose to just cut along the lines for ease or you can cut around each pumpkin, like I did. Either way, works great. I also chose to make a mat where you switch out the letters each time. This way you don’t have to waste ink by printing 26 different letter trucks. 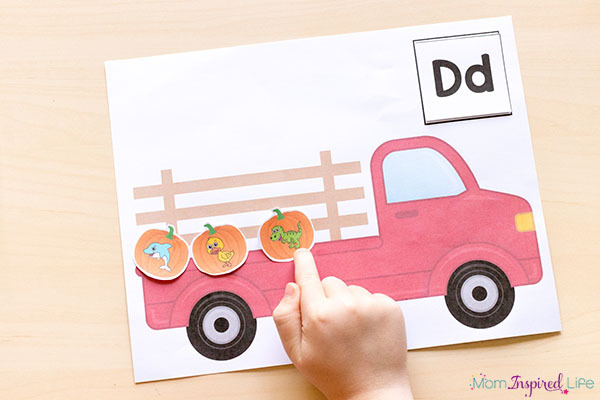 Now the kids can simply use one truck mat and switch out the letter card for each new letter they work on. 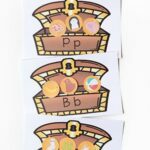 I hope this printable pumpkin alphabet activity is super helpful to you and that your kids enjoy it too! If you are looking for more pumpkin activities, you should definitely check out the posts below! 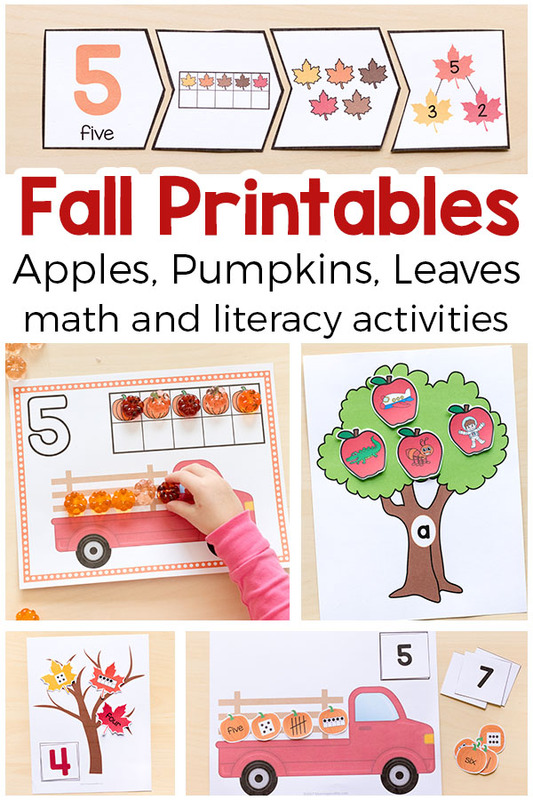 This printable fall activities bundle includes over 30 activities that help children learn the alphabet, letter sounds, sight words and word families (rhyming words), numbers and number sense! They are all hands-on and interactive. 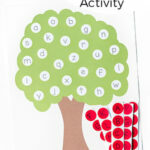 These activities would be great to use in literacy and math centers in the classroom as well as at home with parents. 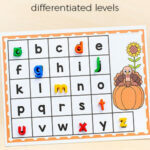 They are all simple and easy for teachers and parents to set up and use. 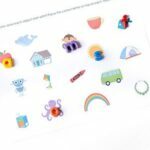 If you buy this printable pack, you will have a bunch of pre-planned activities and games for your kids or students to enjoy all throughout the fall season! This will require little prep from you. Just print, cut and laminate (if you would like). 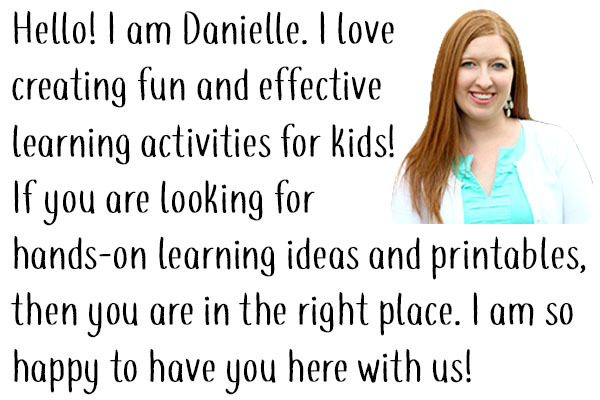 My hope is that these printables will lead to lots of fun and learning for your kids this fall! I hope you and the kids enjoy a fun fall season! To see pics of every single activity in the bundle, head over to the store page by clicking the “Buy Now” button below!